In a bid to build the most efficient bulk carriers on the market, China Navigation has returned to Cargotec for 16 electrically-driven bulk versions of its variable frequency drive MacGregor cranes. The order has been booked in the second quarter 2012 order intake. For its new series of four 39,500 dwt handy sized bulk carriers, Bdelta37 type, The China Navigation Company Pte Co Ltd, (CNCo), has specified electrically-driven variable frequency drive (VFD) versions of MacGregor bulk handling cranes from Cargotec. The Bdelta37 vessels will be constructed at Chengxi Shipyard in China and are scheduled for delivery in 2013 and 2014. Each will be equipped with four GLBE 3026-2 MacGregor cranes. There are options open for a further six vessels. "This order builds on the positive experience already enjoyed by CNCo with our products and services and, in particular, our electric cranes," says Per-Erik Nilsson, Sales and Marketing Director for cargo handling cranes at Cargotec. "Furthermore, CNCo appreciates our extensive pre-order cooperation, ensuring that the equipment specified is exactly right to meet the company's high performance and environmental aspirations for its new vessels. In fact, one of the main reasons why CNCo opted for electric cranes again is to own and operate the most fuel-efficient handy bulk carriers on the market." "Efficiency savings are mainly attributable to a 30 to 35% reduction in power compared to Macgregor's closed loop electro-hydraulic cranes and between 60 to 70% for open loop cranes plus faster and more accurate hook and grab positioning, which reduces time spent in port. Together, these factors will result in significantly lower fuel consumption in port thereby lowering the carbon footprint. " He adds: "MacGregor VFD cranes offer many advantages. They have fewer moving parts and the life expectancy of the components is greater than with electro-hydraulic systems. Therefore, maintenance and repair is much easier." "Nevertheless, our fully electric cranes inherit the best characteristics of the previous GL series of electro-hydraulic cranes. All the machinery is enclosed within the central housing, providing protection from harsh weather, corrosion and mechanical damage." CNCo is the deep-sea ship-owning and operating arm of the Swire group of companies and is wholly-owned by the group's parent company, John Swire & Sons. In 2006, as part of a drive to increase its environmental performance, CNCo made the decision to evaluate the benefits of a MacGregor electrically-driven crane. 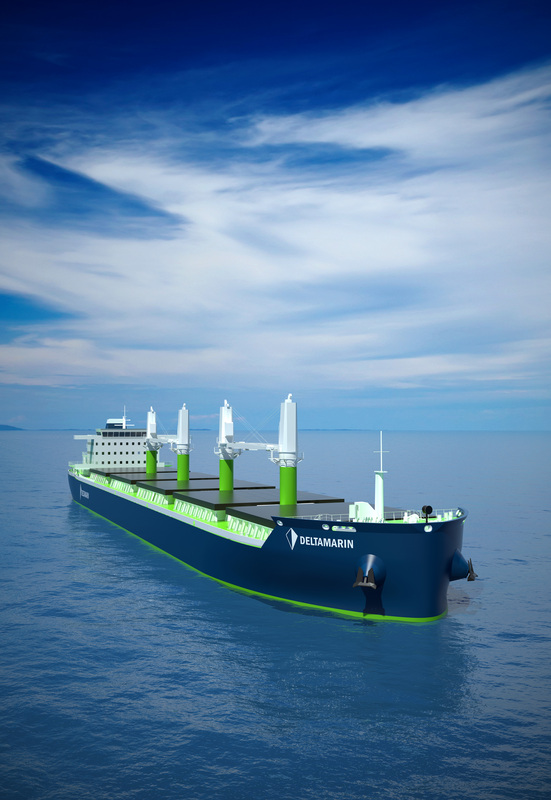 The electric crane trial was part of a major upgrade of existing 20-year-old MacGregor electro-hydraulic cranes on the company's four 41,500 dwt "D-Class" multi-purpose ships. In March 2007 a VFD electric crane was installed on Pacific Flores, replacing the vessel's existing No 2 crane. At the time of fitting, CNCo said that if the trial proved successful, electric cranes would be considered for future newbuilds and conversions. Subsequently, in 2010, CNCo specified VFD MacGregor cranes for eight 31,000 dwt multi-purpose vessels on order at Zhejiang Ouhua Shipbuilding Co Ltd (Ouhua), on Zhoushan Island in China. Cargotec also received orders from CNCo for the hatch covers and fixed fittings. The vessels are scheduled for delivery between January and August 2013. "To date, more than 200 electric cranes have been specified by various owners and put into our order backlog. This represents a significant breakthrough for the VFD crane and a clear sign of the shift in technology from hydraulic systems to variable frequency drives," noted Mr Nilsson.